I admittedly spent three hours or less on Millennial Boss in this last month. Somehow, I still managed to make nearly $1800 dollars. The reason I spent so little time on the site is that I was busy growing my podcast, Fire Drill Podcast. Growing a new site and brand from scratch is completely time consuming. Not to mention that I have the added time of recording new episodes and editing them. I started the podcast with a partner but it’s still overwhelming. Running this website, plus a new podcast, plus a really demanding day job (plus life when I have time for it) is extremely difficult. I’m a perfectionist and these mistakes BOTHERED ME. At the same time, I realized that not everything will be perfect all the time and I have to forgive myself. I’m extremely busy and these side hustles are well, side hustles. When you tell someone how much you have on your plate, the usual response is..maybe something has to drop. I refuse to accept that and my goals are too big to let something drop. My response is..well then I have to be smarter and either delegate or reprioritize. We’ve actually brought on 4 folks to help us manage the podcast and grow, including an editor who will make the episodes sound amazing! Their help will take some of the stress off of me, especially bringing on an editor because that took up tons of my time and I wasn’t awesome at it. One cool thing I did was go to the EBA blogging Conference last month in Portland. It was a good deal to go to the conference, learn a bunch, and network. I stayed at a beautiful Airbnb (like I usually do) and that saved me money as well. It also was dog friendly which was a huge bonus for me. I learned tons from the conference and I’m actually sharing the complete details of what I learned with my blogging email list. If you’re not on my blogging specific email list, drop your email address below. It’s where I share all the good deets about making money online. Another good thing that happened last month is that I was interviewed on the Do You Even Blog Podcast. Pete and I got into a debate on the ethics of promoting Bluehost and display advertising which I think some of you will find interesting. Now into the good stuff. How much money I made last month from my blog. Income was down a little bit, and that is expected when you don’t publish any posts with affiliate links. That being said, I had a bunch of good stuff I wanted to pump out in September, particularly the second and final installments of my bitcoin guest post series. And of course. I can’t forget my August Side income report where I shared I made nearly $2k. Flexoffers income was down a bit this month which makes sense as a few months ago I switched to a different affiliate for one specific high-performing product (which is actually not performing as well at the new affiliate). I also made two Personal Capital sales this month which I’m particularly pleased about because it’s a product that I use every day. 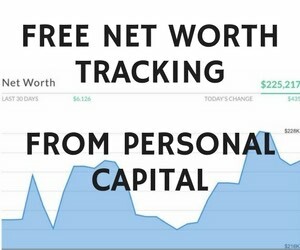 Really, it’s a free app that let’s you check your net worth. When I first downloaded the app, I had a negative net worth and now I have the opposite. 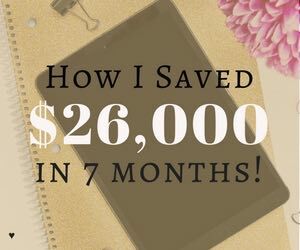 Sometimes Personal Capital doesn’t do so well because not many people like the idea of obsessing over their savings every day like me, but those money geeks who do download it love it. Check out Personal Capital HERE (it’s free). 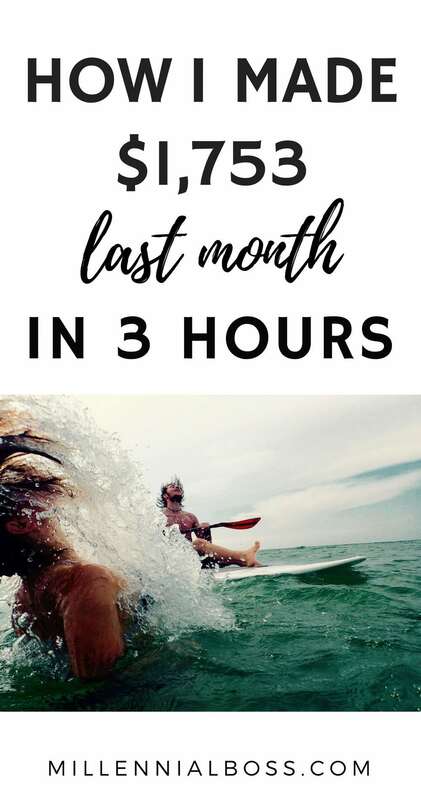 I started sending emails this month! The big win for me this month was that I actually started sending emails through ConvertKit!! It’s something I knew I should be doing for months (okay maybe a year now) but it was never on the top of my list. I did it though and it turned out that ConvertKit makes it so easy.. like really, easy. I ended up sending a couple of emails to my Fire Drill Podcast email list, my Millennial Boss email list, and my blogging email list. I had a few unsubscribes but nothing too crazy. The best thing about ConvertKit (beyond the fact that I have all three of the email lists I mentioned under one account but in separate lists).. is that it’s super easy to customize your emails with colors, logos, and images. 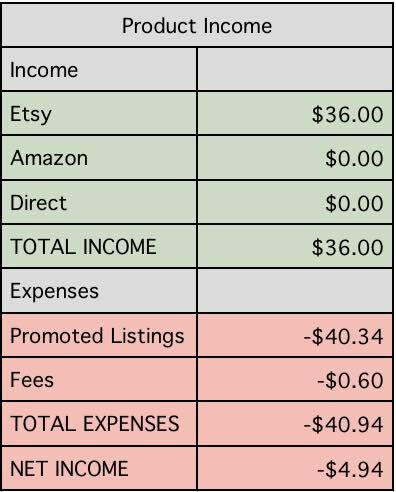 Here is what happened with Etsy this month.. I got a one star review because a customer mistook my “pick the #” text on one of the images as pick the hashtag and not pick the number (quantity) as I intended – this is despite the fact that the description of the product completely spells out what it is. Someone else needed the product shipped out within 24 hours (without notifying me) and I missed that deadline. I try to get them out within 24 hours but it doesn’t always happen. I completely refunded both of these orders and lost the revenue. Luckily, the 1 star review updated her review to 5 stars after I sent her the full refund and was very apologetic (and I asked her to update it). I decided to put my shop on vacation mode, which impacted my total sales this month. Instead of $200 in sales, vacation mode plus the refunds put me at nearly $40 in revenue. Ugh. I’m so busy with the podcast that I don’t have time to communicate back and forth with customers. I may turn off vacation mode next month when I have more time and I know I can provide the level of service I need. Etsy congratulated me on hitting 50 sales this year! That’s was exciting. I experimented with a 5% promo code and selling a higher quantity of my product in a package deal (which worked). My average sale was higher this month. Although, I’ll just have to wait until I have more time to really grow my Etsy site. No blog coaching this month but I did acquire a client starting this month. 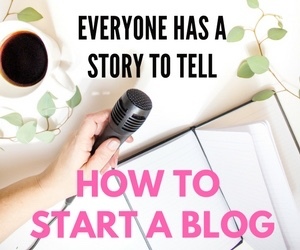 If blog coaching with me interests you, sign up here. There are people out there making big money on their online businesses. What keeps me working hard is knowing that this could pay off BIG TIME. 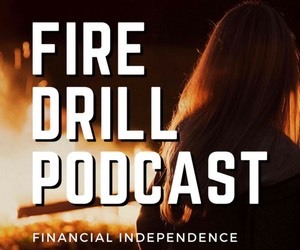 On Fire Drill Podcast (my new podcast), we recently interviewed Bobby from Millennial Money Man. Bobby quit his job two years ago to start his website and it’s grown into a six figure per year business. Check out Episode 12 with Bobby here. His goal is to grow his site to a 1M or 2M per year business. WOW! 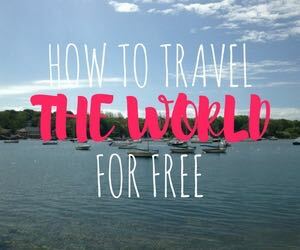 We also interviewed Diana and Hope from the MVMT travel blog in Episode 5 and Travis from Student Loan planner in episode 12. Travis retired from his day job as a bond trader at 25 to travel the world and start his own online business. If you want to subscribe to the podcast, check it out on iTunes here: Fire Drill Podcast on iTunes. We’re also on Stitcher and Google Play. Links can be found on firedrillpodcast.com. We interview lots of successful entrepreneurs and folks who hit early retirement in their thirties and forties (some as young as twenties) because of smart moves in their younger years. Do you have a blog or make money blogging? Any tips to share with us? Congrats on another great month! It’s amazing that you earned $1.7k with 3 hours of work on your blog. I listened to your podcast on DYEB and LOVED it! I also enjoy your Fire Drill podcast a great deal. I always look forward to new episodes! Thank you for the kind words! I’m happy to earn income for another month but know I need to stop the slow decline from May’s income by putting more effort in. Luckily I have some ideas for next month I hope to implement. Your affiliate marketing is jelly-inducing! (jelly = slang for jealous so I’m told by people cooler than me). Great work, J! You are killing it on all three fronts – day job, Millennial Boss, and the new Podcast. You’re inspiring to watch and you help me stay motivated. 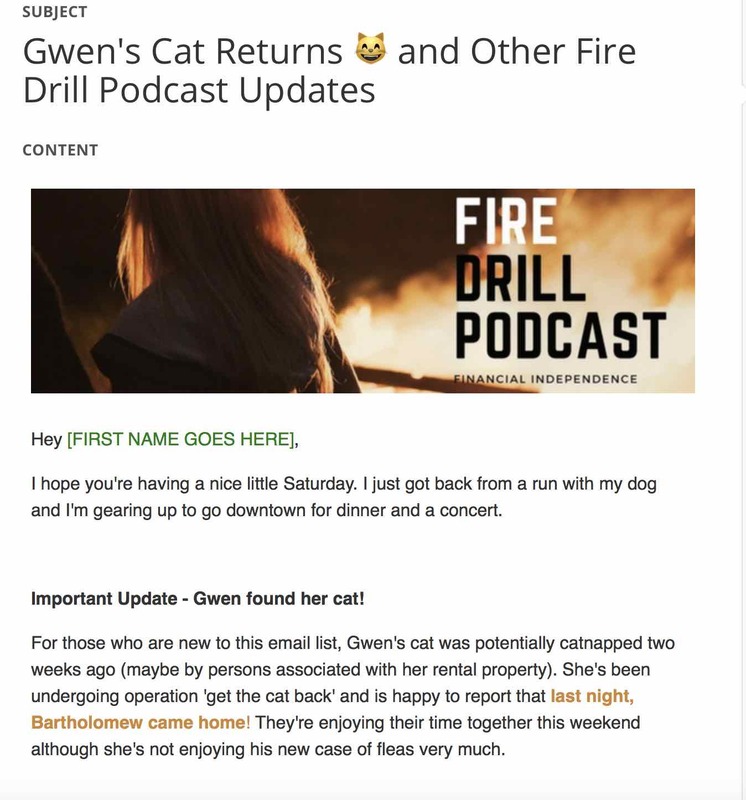 I received & read that FIRE Drill Podcast email and thought it looked great! I wouldn’t have guessed it was your first one being sent out. Feels like it went beyond “good enough” to “this looks professional”. Liked the colors and style of it.